Public higher education serves the public good: it benefits more than just the college graduate. Because it helps the larger community, we should subsidize higher education more than we do so today. Some great news and reminders from the FSU. 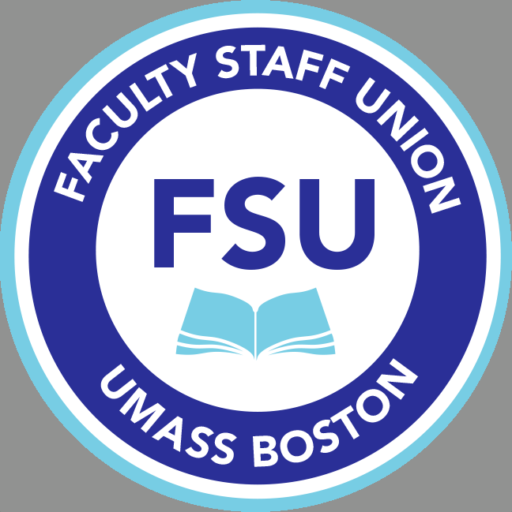 ►Your raises: Even though you ratified our contract in the summer, we have not received our raises because the legislature and Governor had yet to validate and fund our contracts (and other UMass contracts). The House Ways and Means Committee just released a supplemental budget to fund these, and we expect both Houses to pass this and for the Governor to sign. Yes you will receive retroactive pay. Please join members of FSU, UMB student organizers, representatives of Save UMB, and other Boston-area higher education advocates for this important Forum on Funding Higher Education, this Thursday October 4, 4-6 pm in the small science auditorium on campus. All members of the community are welcome. Pizza and refreshments will be served!